In a world where we get trailers for trailers for the teaser of the trailer, where whole sections of a film are released in advance if you go see a movie in IMAX 3D with Smell-O-Vision, and where we spend time speculating on who will play who in what and when, it’s kind of interesting to not know a damn thing about a project. That’s exactly where we’re at with Brad Bird’s 1952, the film that has a script by Damon Lindelof and a star in George Clooney, but no discernible plot that has been released to the public. We do know one thing for sure though: it’s going to be in 3D. Yay? I don’t know if that’s supposed to be my reaction, because I don’t know anything about 1952 and no one – not Bird, not Clooney, not Lindelof, not Disney, not Xenu – will tell me. The sci-fi film supposedly runs along the lines of Close Encounters Of The Third Kind – but totally is not about aliens at all … or is it? We don’t know. We may never know. I don’t believe this movie actually exists. But it will be in 3D, which indicates that it needs to be in 3D for some reason, presumably so that the aliens that aren’t in it can reach out and grab us. Or maybe because we all want to get close to George Clooney and this is the only way it’s going to happen. With Clooney and 3D confirmed, 1952 moves slightly up on my ‘hey, I wonder if I’ll want to see this movie?’ scale. 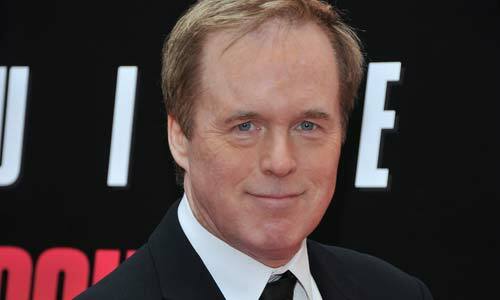 I’m perfectly happy with Brad Bird, who makes awesome films, live-action and otherwise, so for now, color me intrigued. There was some speculation on this one that it was actually the next Star Wars movie, but that rumor was put to rest awhile ago. 1952 is the year that a lot of alien-landing stuff supposedly took place, so there’s a good likelihood that this has something to do with UFOs and what-not. Then again, maybe it’s actually about a year in the life of a middle-class family man who dreams of playing baseball with Mickey Mantle. Either/or. 1952 has no other reported cast, but it does have a script and will apparently come out sometime in 2014. Beyond that, we’ll just have to keep an eye on the skies and see what happens.